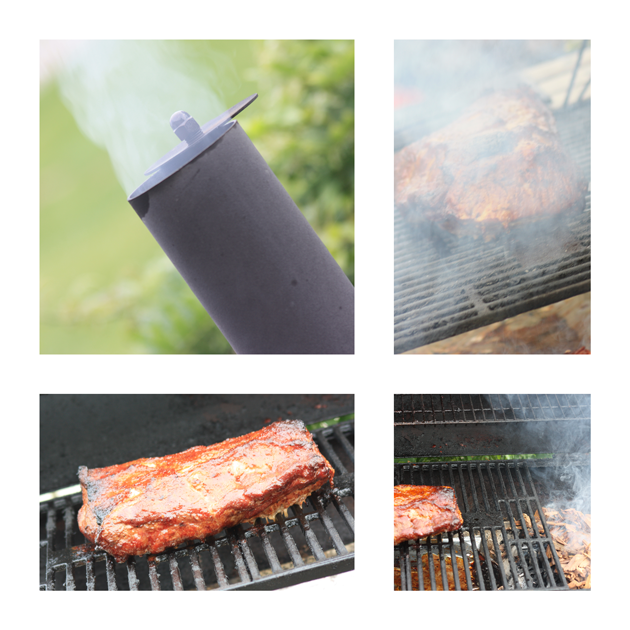 You are here: Home / GFFavs / Smoked Pork Loin on a Charcoal Grill – smoke ’em if ya got ’em! 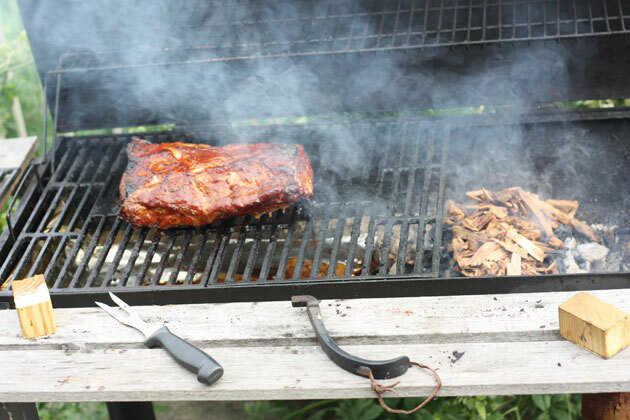 Smoked Pork Loin on a Charcoal Grill – smoke ’em if ya got ’em! Smoked Pork Loin on the new charcoal grills – smoke ’em if ya got ’em! Do you want to know a secret? I cook dead animals on my Kingsford that will make you wanna slap yo momma honey. Period. I’ve been doing it for a very long time – I actually sat down and thought about it – I bought my Kingsford in 2007 and it has produced some of the best food we’ve ever had! No joke! But there is a secret… wanna know how I do it? Well, you’re in luck because I am going to share all of my secret ways with you. Because I love you. First – I prepare my pork by putting it into a brine overnight in the fridge – a minimum of 8 hours. I brine almost all meat and you can’t beat it for turkey – but that’s another post. A brine is just a salt solution and I make mine with 1 cup of kosher salt, a cup of brown sugar and the juice of a few oranges and lemons in enough water to cover it (1 cup of salt per gallon) then keep it in the fridge until it’s ready. Pretty easy peasy, right? You have to be careful not to oversalt – because the meat will absorb too much and ruin it so just about a cup will do ya. Second – I rub that baby down with a rub that I make with a little olive oil, brown sugar and some spices – and actually, those spices change depending on my mood. Yesterday I used some crushed red peppers and chili powder and added some spicy brown mustard. It was good! Third – I grill it. SLOWLY. I get my charcoal good and hot and grill it for about 8 hours or so. The secret? Hot coals on one side of the grill and the meat on the other. I put some foil in the bottom to catch the drippings and prevent a fire (long story…) and I also use little wood blocks to prop up my lid and adjust my vents to keep it going at about 225°. It’s something you have to watch constantly and hand feed charcoal into to stabilize the temp. It’s worth it – trust me. I check it about every 10 minutes and I make sure I don’t have anything else going on that day – or else – disaster! I hand feed the charcoal briquets myself so that I can keep that temp steady. 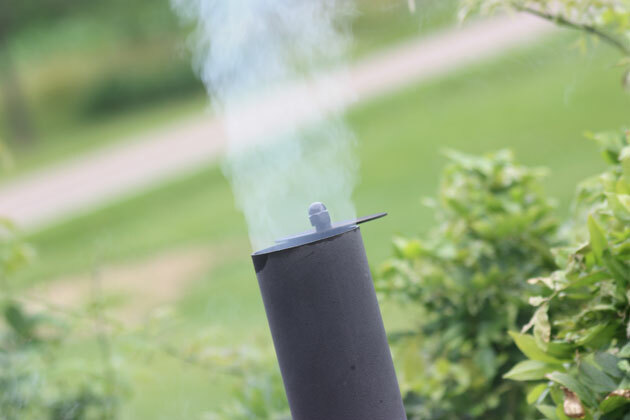 Fourth – I soak my chips (I get hickory and mesquite from Wal-Mart in their grilling section) for at least 30 minutes – make sure I have fresh coals and put them on top of the charcoal and smoke or about 3 more hours. I also hand feed the chips because they do catch fire after the heat has dried them out. The secret? The picture above ↑ meat on one side and the charcoal and chips on another. I use the wood blocks again to keep the temp lower than 250° – I like mine right at about 225°. Let the smokin’ begin! My grill also has lovely cast iron grates – you can’t get better in my honest opinion. A lot of work to keep them going, but totally worth it. Sad news? My grill has been discontinued by Kingsford. Bummer. You can use another barrel charcoal grill and do the same, it will be ok. 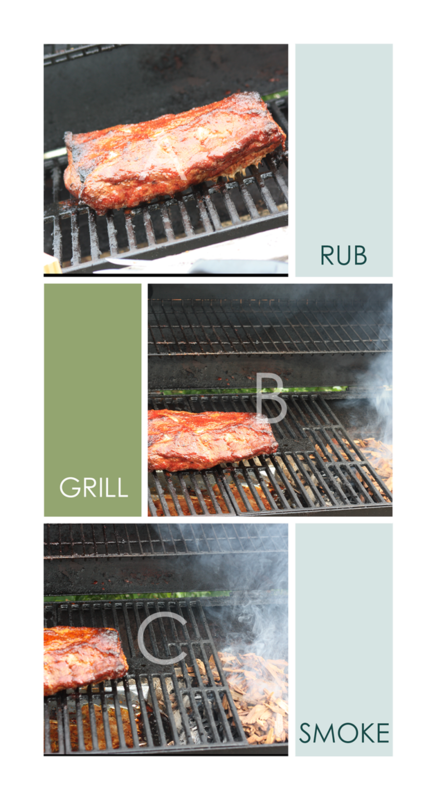 So – to recap: you brine – rub – grill – smoke – in that order. The meat will take anywhere from 10 to 12 hours – you just have to pay attention to it – and take a fork and see how easily it comes apart. 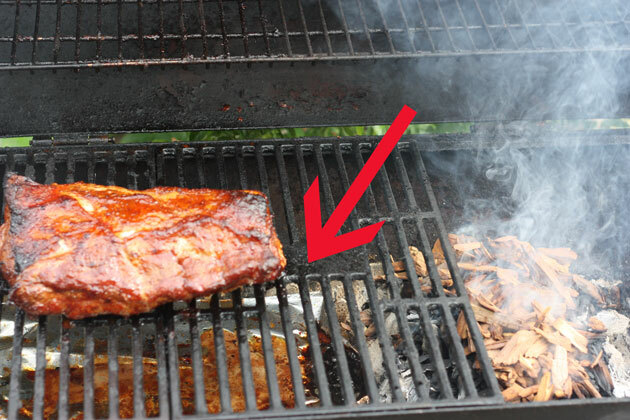 I use 2 forks to shred my pork – and it’s super easy. I shredded mine and topped it with bbq sauce and coleslaw – because that’s how this country girl rolls! I made some fabulous King’s Hawaiian rolls – gluten free – but that will be another post. Honestly – once it was shredded and we all sat down to eat – my camera was the last thing on my mind. Next one I do – I’ll get some good pics, I promise! Do you love to grill as much as I do? Leave me a comment and we can get our meat talk on!